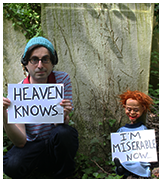 Tickets for Feeling Gloomy events are currenlty on sale up until September 2019. It's Mayday bank holiday weekend and everyone has run off to the seaside leaving you at home feeling gloomy. So join as we ease your woes with our blend of sad and melancholic anthems. It'll probbaly be raining at the seaside anyway. Click here for tickets. 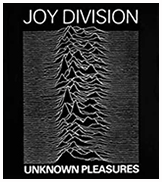 It's 4 decades since the release of one of the gloomiest albums of all time, as Joy Division's 'Unknown Pleasures' hits the big 4-0. Thus, we'll be paying an extra selection of Joy Division & New Order faves as all mixed in with your usual gloomy anthems. Click here for tickets. 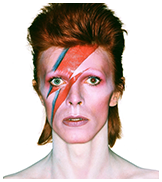 After three previously hugley popular events we're back with another Afternoon of David Bowie from 1pm-4:30pm. Grab some food, sit back or put on your red shoes and dance with like minded Bowie fans as we provide back to back Bowie classics, singalongs and more. We're delighted to be back at Standon Calling for the fourth year in a row! Join us In The Woods on Saturday night for a special 12am-3am Gloomy set and then again on Sunday afternoon from 4pm-6pm as we bring our legendary Bowie Disco to the Electric Willows. The UK's no.1 Jam tribute return to celebrate the 40th anniversary of Setting Sons where they'll perform the album in full as wel as a 2nd set of pure Jam hits and faves!.